We checked the forecast and were slightly alarmed to find a high temperature of 43 degrees celsius for the weekend of One Love One Heart (OLOH). A bit high, but surely nothing a little ganja and coconut water couldn’t handle! We were 2 kiwis and 2 yanks and excited to attend One Love again. 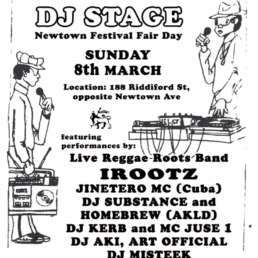 2017 is the festival’s eighth season, surviving the rigours of festival mishap and mosquitoes, fearlessly organised by reggae promoter Denise Tata Carter. 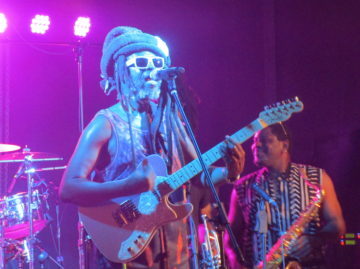 OLOH is easily one of the more family friendly and Afro-centric music festivals out there and boasts bringing more underground and local artists, as well as big names, to the outskirts of Sacramento. An interesting sponsor for this year’s show was the Sacramento Lions rugby team – chur! We headed off for the 5-hour trip down the I-5 to Yolo County Fairgrounds. The region has been shrouded in wildfire smoke so it was good to finally round past a ghostly Mt. Shasta, with only snow illuminated in the smoky sky, to steam out below Redding into the Sacramento Valley with actual blue above us. We rolled into the fairgrounds around 10.30pm with not a soul on the gate (OLOH tends to be chill like that! ), and a kindly Rasta gentleman directed us to the camping area where we set up in still lingering heat, with the help of a couple IPA’s. Morning dawned hot with an unexpected roar from the factory next door. Through this hubbub we noticed a clear and beautiful tapping sound. A Hawaiian kahuna (healer) was purposefully tracing the perimeter with shell clave and sacred smoke, blessing the crowd, workers and artists endeavor for the weekend. After a morning cuppa, two ladies greeted us from a quad, ‘We’ve got a problem…’ a crowned Empress in a striped gown began. It was Denise Tata Carter herself! The festival organiser looked breezy and fresh and not at all stressed, considering her role. We had inadvertently camped too closely to an old schoolhouse and home to the Yolo County Historical Society. With our festival bands distributed by the charming Denise, we promised to re-situate and dragged our tents and assorted supplies over to the camping line and resettled over tomato cocktails and spliffs. The first artist we checked was Prezident Brown. He put on a stellar show, joyous and unruffled in snow-white ‘fresh garments’, playing hits such as ’The Traveller’ and ‘Rough Road’. His backing band held every note and kept up with aplomb. Prez tore the roof off with ‘Respect and Manners’ and though the crowd was thin, he was well received with all the dance we could muster. We could see folks huddled in the cool air-conditioned interiors of their vehicles and campers and probably should have done the same. We later found out much of the campground had dispersed to the Yuba River and would be back for cooler evening temperatures! Cool shady dippings are the best medicine in continental western summers: you have to see the parch of these lands to believe it. We persevered on however and in some ways enjoyed the purifying heat. Dinner was ‘Khalid’s Caribe’ food truck nourishment of tasty and filling veggie patties, rice and peas, veggies and fried plantain. 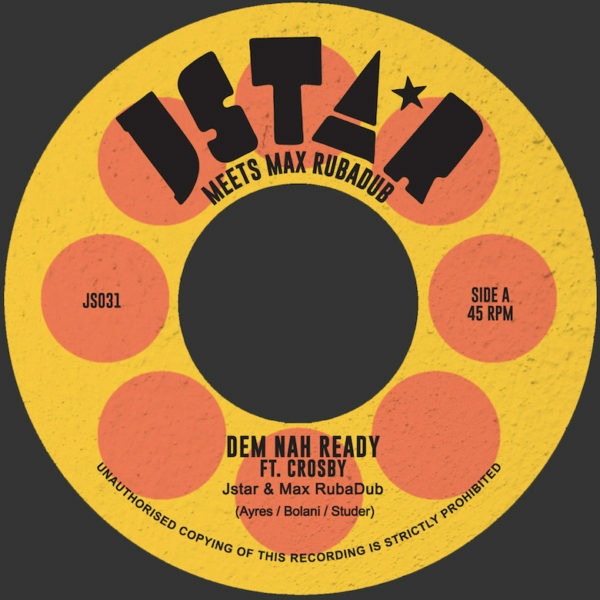 We had a chat with a representative of the ‘Read Across Jamaica Foundation’ and purchased some of their beautiful hand-made tile coasters to benefit reading programs for kids. We listened to Irae Divine laying it down and a seated Fiji. Both were excellent from a distance and I wish I could have rallied to see them direct! 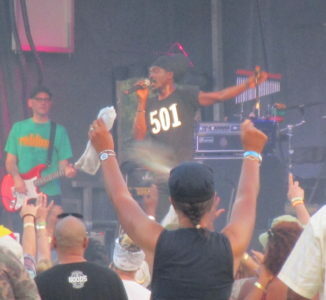 As the day wore on into dusk, we found ourselves in front of the stage for Steel Pulse. Night was falling and the massive were pumped. 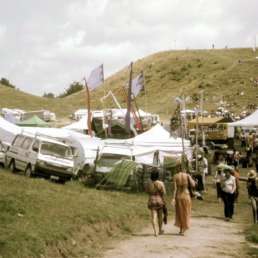 People materialized rapidly, excitedly lighting up for one of reggae’s legendary acts. And we were not disappointed. 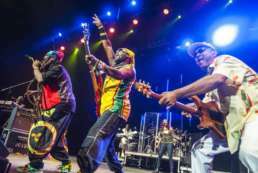 Steel Pulse are known for having a wicked band still, after all these years. 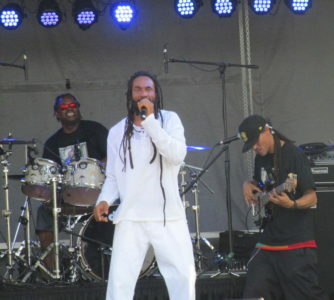 They remain a consummate, flawless performance and possibly one of the tightest acts in the global reggae scene. David Hinds and Selwyn ‘Bumbo’ Brown were on point and we especially dug Selwyn’s raps. As a horn enthusiast I was elated to experience solos from the ‘quadruple horns’, a flautist/saxophonist and trumpeter/trombonist. The crowd sang at top volume along with classics such as ‘Babylon Makes the Rules’, ‘Drug Squad’ and ‘Rally Round’ and the emotion and joy were palpable. Steel Pulse are truly a treasure and I was reminded how many hits they have produced, the fierce calls for justice of their lyrics and how adored they are by fans. It was a show I will never forget! Day 3 dawned and although we were steeling ourselves for another heat blast, the temperature stayed lower for Sunday – a gift from Jah! Up-and-coming Jamaican artist Young Shanty began a lunchtime set with his hits ‘Check for U’, ‘Nugs and Kisses’ and ‘I Try’, laying it on us thick with trademark sweet singy falsetto. If you don’t have his album ‘Chalice Row or Dig a Hole’ you best get it! The next act we anticipated was Arkaingelle, a highly conscious artist hailing from Guyana and now based in Cali. His renditions of ‘No War’ and ‘Herbalist’ were stand out moments. Arkaingelle has a distinctive style and lyrics as deep as they come and he provided a thoughtful, upfull and vibesy show. His brand new 2017 album ‘Tru Da Fyah’ from Zion High Productions is excellent and was represented. A local Nyabinghi ensemble held groundation in the waning afternoon. They presented a full drum accompaniment to traditional vocal call and response, all to the steady swaying of Lion of Judah flags. The music was both transcendental and grounding; blessing all present with sacred sound. 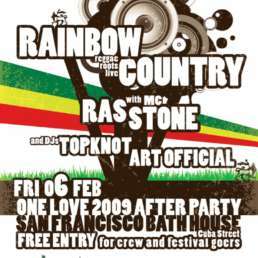 For the duration we felt we could breathe deep, rebalance with Earth-song and the higher principles of Rastafari. Next up was a highly anticipated show by Akae Beka. 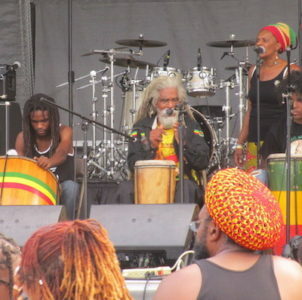 They always come strong with heavy vibes and are best known for their lead singer Vaughan Benjamin, formerly of prophetic nu-roots Virgin Island group Midnite. Indeed, they still include other members of that band and dropped classic Midnite tracks for the diehards: “Love the Life You Lead’ and ‘Meditation’. The musicianship was always high and weaves an expert tapestry upon which Mr. Benjamin can chant his smoky reasonings. My personal favourite was ‘Psalm’, straight from Afrika via the diaspora. During the break we absorbed the crowd. Almost every demographic represented whether Binghi or Bobo Ashanti, Islanders global, International peeps, Central-American and Sacramento families. Representing in the vendors circle were ‘Bogolani Designs’ and ‘Good Life Roots’ among many others featuring Afrikan crafts, leather-tooling, handmade pipes, drums, mudcloth attire, custom clothing, fragrances and salves. Of course Anthony B was going to crush it. This artist gets better and better with every year, his distinctive styles resonating through the concert field. ‘My Yes and My No’, ‘Freedom Fighter, ‘Water Pumpee’, ‘Send the Rain Away’…..every song was a burst of the energy surge that is Anthony B. Last and definitely not least was Sizzla Kalonji, tearing up the yard with the most energetic performance of all. It makes a body ashamed to be jumping any less than a metre in the air to express audience approval. Backing him were the Firehouse Crew, working hard to drop, stop and re-drop! ‘Kings of the Earth’, ‘Fought for Dis’ and ‘Show More Love’ were part of a blisteringly fast half-minute per song roll-out of his latest and greatest. I have to admit I was dazed by the experience! Either side of the stage was packed with dancers and Bobo Dreads rocking and rolling. Back at camp we booted up the stereo again, eschewing the afterparty at ‘Velocity Island Water Park’ although no doubt it was a blast. As it is situated near the I-5 we viewed it from the overpass on the way home and it looked like it had been SWEET up in there! Whenever an experience such as the OLOH occurs, when it is over, it feels like a piece of you is left there. The preciousness of such events is clear, in these turbulent times, with so much injustice still. The kids danced and played and the adults relaxed and smiled. There was no trouble and only immense heights. For that weekend, we had a oneness that hopefully all can carry through into their respective communities for the betterment of us all. Many thanks to the crew of OLOH for a great experience: we will return, and reggae lovers: put it on your calendar!